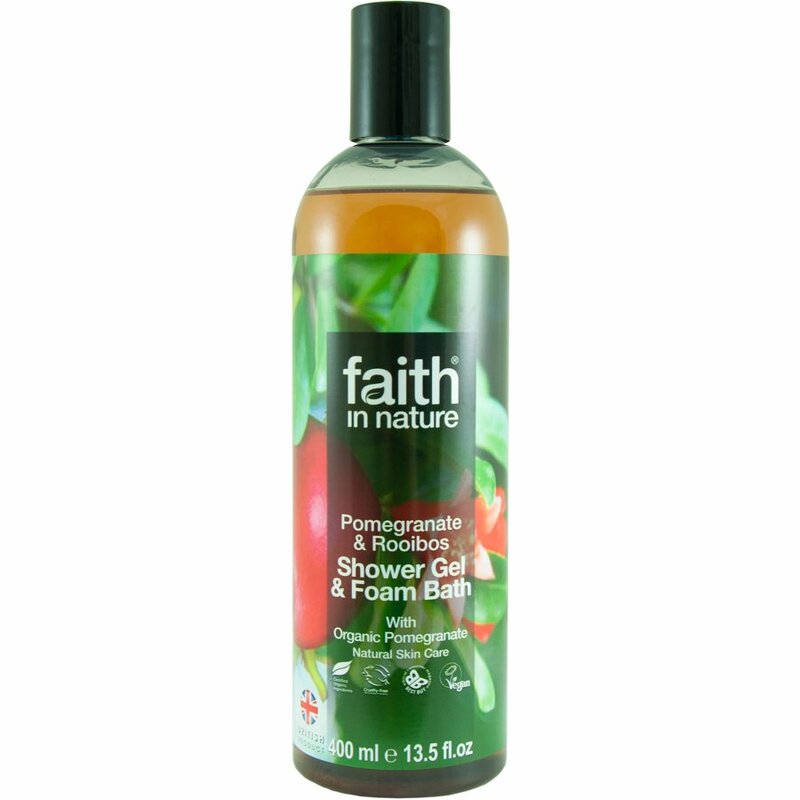 Pomegranate & Rooibos Bath and Shjower Gel from Faith in Nature. The health giving and skin nourishing benefits of the Pomegranate fruit are well known. When combined with free radical scavenging Organic Rooibos extract, the results are striking. Ideal for a subtly fragrant shower that will leave the skin soft and refreshed or for a long, luxuriant soak in the bath. 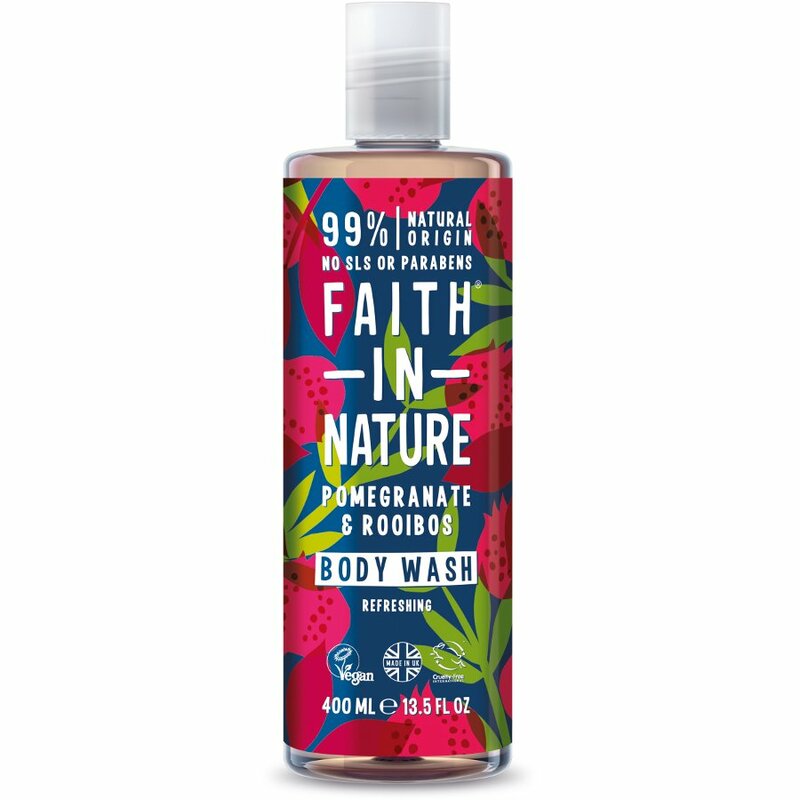 There are currently no questions to display about Faith In Nature Pomegranate & Rooibos Body Wash - 400ml.